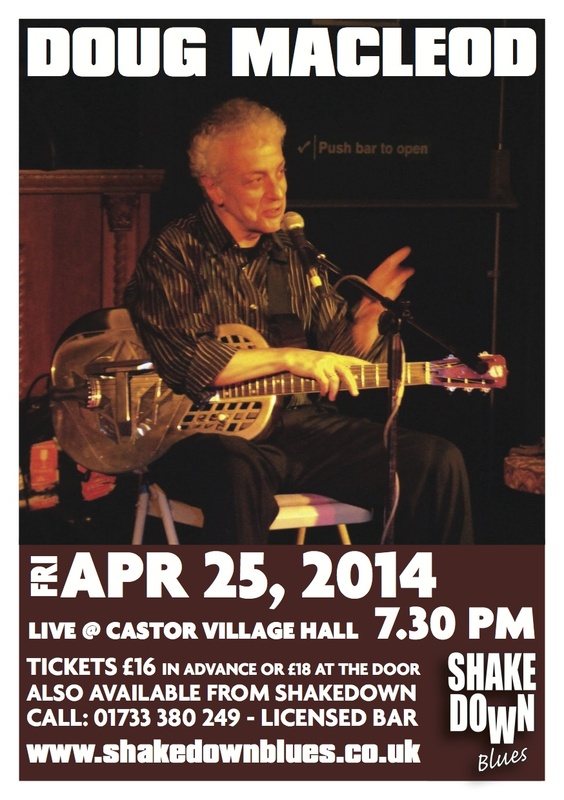 Doug MacLeod, the perennial Blues Music Award Nominee, is a singer-songwriter in the American tradition. He is a traveling artist that writes and sings original songs that are based on his own life and experiences. He learned from the old masters, lived the music, survived the life and carries forward a valuable tradition. MacLeod is known for his superb song writing, guitar wizardry, warm soulful vocals, wit and unforgettable live performances. At the heart of this is his knack for storytelling, bringing characters-from the faceless to the legendary-to strikingly real life. While he developed his rich, soulful singing style MacLeod also worked out a unique, unorthodox and powerfully rhythmic acoustic guitar style. The rage of his turbulent youth was eventually channelled through his guitar, using his relentless right hand to pound out an insistent, churning beat to complement his intricate bottleneck and finger-style technique. Over 29 years, 19 studio albums, several live records, compilations, a blues guitar instructional DVD and a live performance DVD, MacLeod has consistently earned raves. His songs have been covered by many artists including Albert King, Albert Collins, Joe Louis Walker and Eva Cassidy. He has co-written songs with Dave Alvin and Coco Montoya. From 1999 to 2004 he hosted Nothin' But The Blues, a very popular weekend blues show on Los Angeles' KLON-KKJZ. He has also been the voice for The Blues Showcase on Continental Airlines and contributed his soulful slide guitar playing to the Los Angeles opening of the August Wilson play "Gem of the Ocean". For ten years he penned "Doug's Back Porch," a regular feature column in Blues Revue Magazine in which he shared his humorous and insightful stories with thousands of readers. He won the Golden Note Award in 1997 for his Audio Quest album "You Can't Take My Blues". In 2006 Solid Air/Warner Bros. released Doug's guitar instructional DVD "101* Blues Guitar Essentials". MacLeod signed with Reference Recordings in 2012. His new album "There�s A Time" was released in March of 2013. In every note he performs and records, MacLeod subscribes to the rule-of-thumb learned from country bluesman Ernest Banks from Toano VA who instilled in him to "Never play a note you don't believe", and "Never write or sing about what you don't know about." Like the old masters who taught him, MacLeod's music expresses life and times via an intangible, elusive quality that may simply be a keen sense of what matters most. There is a philosophic and healing side to MacLeod's music and his stories that have helped others overcome the hardships of their lives.